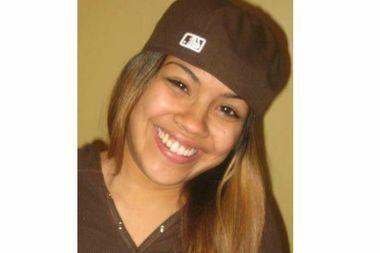 Brooke Garcia, 27, was found dead with a scarf wrapped around her neck at the Lillian Wald Houses. EAST VILLAGE — A man identified by a law enforcement source as a love interest of murder victim Brooke Garcia, 27, has been indicted for her brutal strangulation at the East Village's Lillian Wald Houses, court records show. Henry Pacheco, who the source said had been dating Garcia, was indicted March 7 by a grand jury for murdering her inside an Avenue D apartment, records show. Garcia's aunt lived in the apartment, according to neighbors. Pacheco is accused of one count of murder in the first degree and two counts of murder in the second degree, according to the indictment, which states Pacheco killed Garcia while trying to carry out a robbery. Garcia was found dead with a scarf wrapped around her neck the afternoon of Jan. 4, police said. Her death was ruled a homicide, and Pacheco was identified as a suspect within days of the murder, a law enforcement source said at the time. While being questioned as a suspect in the murder, Pacheco had been held by police for beating his pregnant ex-girlfriend days before Garcia's death, the source said. He has also been indicted for that incident, and is accused of assault and endangering the welfare of a child, as well as coercion and intimidating a witness for threatening to hurt her if she reported knowledge of his criminal activity to law enforcement, records show. According to court records, Pacheco told Detective John McNamara while being held at Bellevue Hospital he knew he was being charged with murder but didn't want to do the time. "I'm going to go into protective custody because I'm associated with murdering a girl," reads a summary of a statement given to police. "I'm not doing 25-to-life." He further stated he had been on drugs for two days and "was very high." Pacheco is currently being held at Manhattan Detention Complex without bail, according to Department of Corrections records. He pleaded not guilty to the charges and is due back in court May 17. His attorney did not immediately respond to a request for comment.